Inspired by traditional biker jacket details, this leather jacket is constructed from stunning Lambs skin. 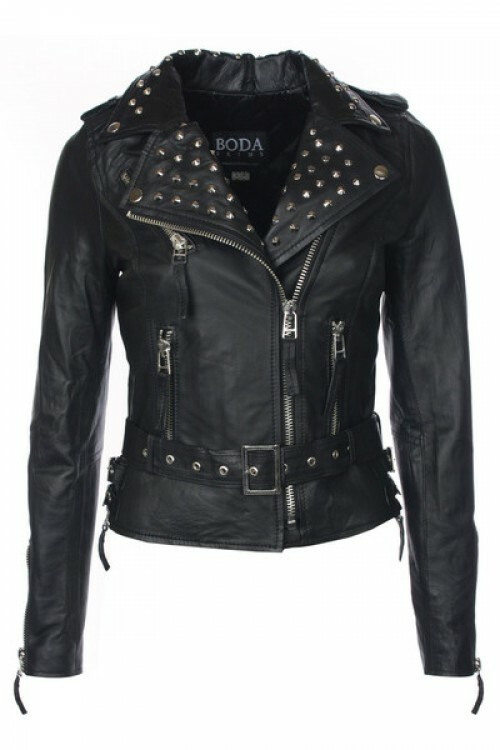 Our studded biker jacket features vintage steel studs plated in nickel. Studs hammered into place by hand with expert craftsmanship so each jacket is unique. Contrasting silver zips adds to the edgy appeal. This signature 80’s rock style screams individuality and character. If you require any further details about our sizing for this jacket then please get in touch and we'll be more than happy to assist you with your order.